The Public Interest Litigation, filed by advocate Shamsudeen, also challenged the proposal to do away with address in passports. The petitioner contended that the decision to have two different colour passports for educated and non-educated persons is arbitrary and discriminatory. He said that it amounts to discrimination and segregation of persons solely on the basis of their education and economic status. 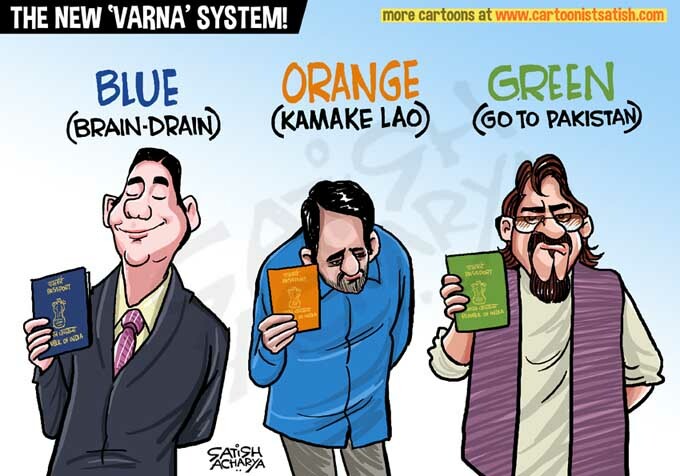 KOCHI: The Kerala High Court today issued a notice to the central government on a PIL challenging its decision to introduce orange-coloured passports for people requiring emigration check. 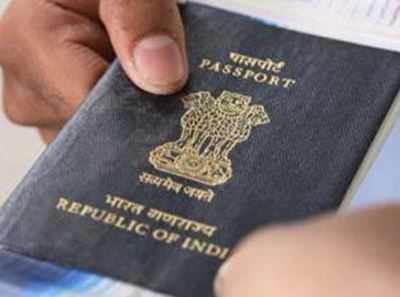 In his plea, lawyer Shamsuddeen Karunagappally argued that such a move would lead to segregation of people with low education and low economic status.The passport holders with ECR (Emigration Check Required) status would be issued a passport with orange-coloured jacket and those with non-ECR status would continue to get a blue passport, according to a recent Ministry of External Affairs (MEA) statement. Emigration check is required for passport holders, not having education beyond the tenth standard, and having less than taxable income, who seek migration for employment, the petitioner said. The petitioner contended that the move would make their underprivileged status known publicly through separate colour code. It is a grave invasion of their fundamental right to privacy and dignity, he said. There is no rational objective to be achieved through this segregation. It is demeaning and shockingly violative of the principle of equality, the petitioner said. The petition said that different passports could increase the vulnerability of workers, who are often duped by middlemen who promise jobs abroad. “There could arise situations whereby it is easily revealed to the foreign authorities that the persons is uneducated and unskilled, and by making the vulnerable state of the person so evident and apparent, chances of such persons being exploited will be increased,” it said. The move will create practical hardships to migrant workers, as the chances of harassment and exploitation will increase when their vulnerable status is made apparent on the passport through separate colour code, he alleged. The petitioner was also aggrieved by the government’s decision to omit last page of the passport containing details including the holder’s address. According to the MEA statement, the recommendations of a three-member panel, comprising officials from the MEA and the ministry of women and child development, were accepted and it was decided that the last page of the passport and other travel documents issued under the Passports Act, 1967 and Passport Rules, 1980 “would no longer be printed”. The move is not supported by any cogent reason and does not achieve any purpose, the petition alleged. The decisions affect a large class of Indians who have migrated to other countries in search of job and livelihood, it said. After preliminary hearing, a division bench comprising Acting Chief Justice Antony Dominic and Justice Dama Seshadri Naidu issued the notice to the Union government.